It stands to reason that climbing a mountain, especially one such as Kilimanjaro requires a certain degree of physical fitness. This is, of course, very true – hiking is a physically taxing activity. But it’s only part of the equation. If you’re planning to climb Kilimanjaro, there are quite a few things you should be doing besides going to the gym. 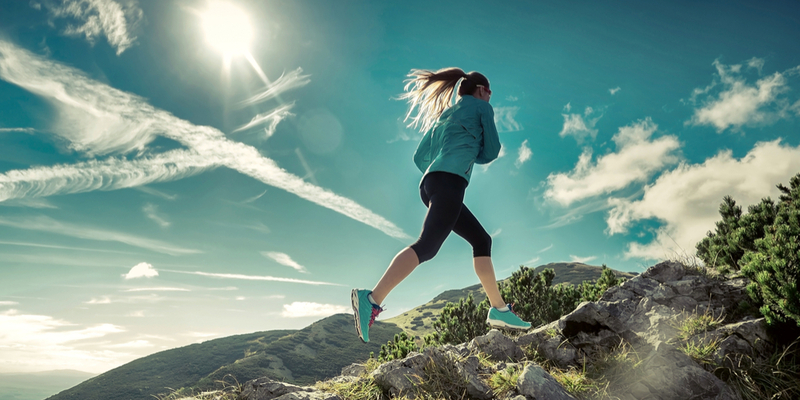 First, we’ll go over the kinds of physical activity that will help you on the mountain. Lifting weights may help you look more impressive at the beach, but your ‘bis and tris’ aren’t going to get you to the summit. The best possible training for hiking up a giant mountain is simply to hike up smaller ones. If you live in an area where this is possible, go for it. If you don’t have easy access to mountains or even decent hills, any hiking is preferable to none. Get your body used to walking at a steady pace for hours at a time; uphill, if possible. Don’t worry about speed – your guides are going to make you walk slowly, anyway, so just worry about maintaining a steady pace. If you want or need indoor activities to help get your body ready, there’s one word to keep in mind – cardio. Muscles may not get you to the top, but that doesn’t mean that working out is a bad idea. Cardio (or aerobics) keeps you in shape by getting your body to run as efficiently as possible, which means it takes less oxygen to operate your key systems. Think of it like getting a car ready for a long, tough trip. It doesn’t need an overhaul, just a tune-up to improve fuel consumption, the condition of tires, belts, and wiring, and to ensure the engine runs as smooth as possible. You’re not getting more muscles, just improving the efficiency of what’s already there. All this being said, a word of caution: Physical fitness is great, because you’ll feel better on the mountain, but the better you feel, the harder you’ll want to push, and the harder you push the more likely you are to fail. We’ve all heard the adage ‘slow and steady wins the race,’ and never has there been a better time to take it to heart. Your guides will constantly say, “Pole, pole,” which translates into English as “Slow, slow.” It may even get on your nerves at times, especially in the first few days; you’ll just know that you can go faster than the snail’s pace the guides are setting, but there is a very good reason for this. Wait a few days, and you’ll notice the fatigue setting in in little ways: Catching up to the group after stopping to tie your shoe leaves you out of breath. 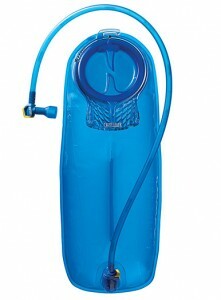 Getting out your water bottle or even taking a sip from you Camelbak takes noticeable effort. It won’t take long for that steady pace to make perfect sense, and you’ll be grateful for it by the time you reach the peak. Altitude sickness is a real hazard for anyone making the climb up Kilimanjaro. Contrary to what you might think, it’s not the actual height of the mountain that’s the problem. The real issue lies in the fact that you’ll be going from a very low altitude to a very high one rather quickly, and as you progress, your body will constantly be having to adjust to different pressures and oxygen levels. 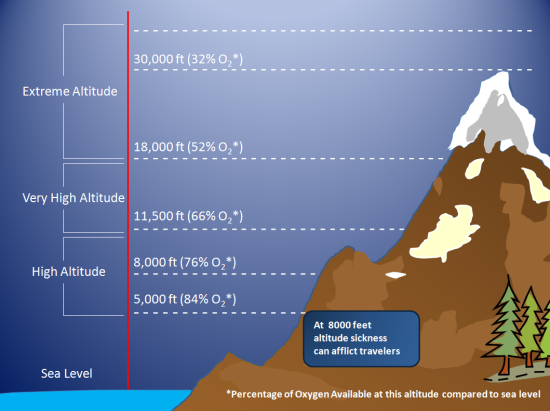 Different people respond to altitude adjustment in different ways, so unfortunately, there’s absolutely no way to tell how the altitude will affect you. The best possible way to prepare for this is to do some hiking, as mentioned before, and camp overnight at different altitudes fairly soon before your trip to Tanzania. Not only will it help your body adjust to altitude change, but it will also help you prepare for the trip mentally. Otherwise, all you can do is keep an eye on your health while you climb, and if you start to feel strange, even if it’s just a small thing, let your guides know. A good guide will be able to spot symptoms of altitude sickness and know how best to handle it, so keep them informed. Above all, keep to that slow and steady pace. More than exercise and good equipment, pole, pole is what will get you to the top without any major issues. Your mental game is just as important as your physical. This is a long, strenuous journey, even for experienced hikers and backpackers. Don’t go in assuming you know what to expect because you’ve climbed the mountain just outside of town on every Labor Day for the past ten years. Yes, that will help, but Kilimanjaro isn’t like that. Kili’s not like anything, really – a lone mountain comprised of three volcanoes standing at nearly 20,000 feet is pretty unique, as is the experience of climbing it. Keep an open mind. You’re in this for the long haul, and you don’t want to wake up every morning wondering how you’ll possibly find the motivation to press on. Don’t get yourself down; Kilimanjaro is a challenge, and the whole point of challenges is that they’re not easy. Persevere, and you’ll be able to tell your friends and family all about how you climbed the tallest free-standing mountain in the world, and you’ll know that you earned those bragging rights. If you do find yourself losing it, talk to the guides and your fellow climbers. You’re all in it together, and the guides may even have some little tricks for you to keep your eye off the difficulties and on the prize. You want good boots that you’ve already broken in and know are comfortable over long periods of time. You’ll want to wear multiple pairs of socks, so make sure your boots are big enough to accommodate them, and that they’re not too tight – tight boots cut off circulation to your feet, and that’s the last thing you need. A pair of high-quality boots is easily one of the most important pieces of equipment website like this you can invest in. The importance of a good night’s sleep can’t be stressed enough, and there’s no better way to ensure decent rest than with a high-quality sleeping bag. At minimum, get a bag that’s rated for -10 Celsius/14 Fahrenheit. Down bags are good, because they’re light and pack small, but they can be quite pricey, and can be an unnecessary drain on your budget if you don’t plan on using it again. Whatever you get, regardless of whether your rent or buy, make sure it fits. You never want to go on a camping trip without having at least gotten in your sleeping bag, and Kilimanjaro is no exception. While it may seem like a small thing, a good water bottle or Camelbak can be an absolute life-saver. You don’t want to be wrestling with your bottle at 15,000 ft or find out that your off-brand Camelbak knock-off has holes in it on the first day. This is by no means a complete checklist. The tour company should provide you with one, and you should pay it very close attention. Before you do anything else, you should be choosing your route and tour operator. There are several ways up the mountain and they all take different amounts of time. This is a test of endurance, and it will take you 5-9 days to reach the top. Any more is generally unnecessary, and any shorter is considered unsafe for the average visitor. Of course, the longer the trip, the more it will cost, but keep in mind that this isn’t a race – the key is to finish, and you’re more likely to make it on a longer, steadier route than a quick short one. There are tons of tour operators that go up Kili, and they range from excellent to unsafe. As a general rule, you get what you pay for. Mistakes on the mountain have cost people there lives, so you want reputable guides who know what they’re doing and don’t cut corners. Remember, you’ll be spending the better part of a week with these people, and you’re spoiled for choice, so if you don’t like the feel of one operator, cross them off the list and keep looking. Asking them about the food and equipment they provide will also give you a good idea about the quality of the service. My personal recommendations for Kilimanjaro operators are The African Walking Company and Ultimate Kilimanjaro for the best prices and service.